No matter what they answer to, the face of the man you honor on Father’s Day is precious. Give him a gift that will nourish and protect his skin, leaving him feeling smooth, clean and refreshed. Our limited-time dad’s bundle recognizes the most important guy in your life and celebrates his hard-work and confidence with products he can depend on. The principal product in our Father’s Day Bundle is aptly named for the champion in your life.  Our Champion Razor is a high-quality, 5-blade shaving system that allows for a super smooth shave. He’ll never need to worry about missing a spot again! The Champion reaches those hard-to-shave areas including his goatee, sideburns, under the nose, and back of the neck, while It’s safety guard, protects against nicks and cuts. Dad’s deserve quality shaving and skin care products that pamper their skin. Every Man Jack answers the call with a line that will leave every man feeling smooth and confident. This line-up of high-quality pre-during-and post-shave products gives dad an optimal shaving experience and routine he can trust. 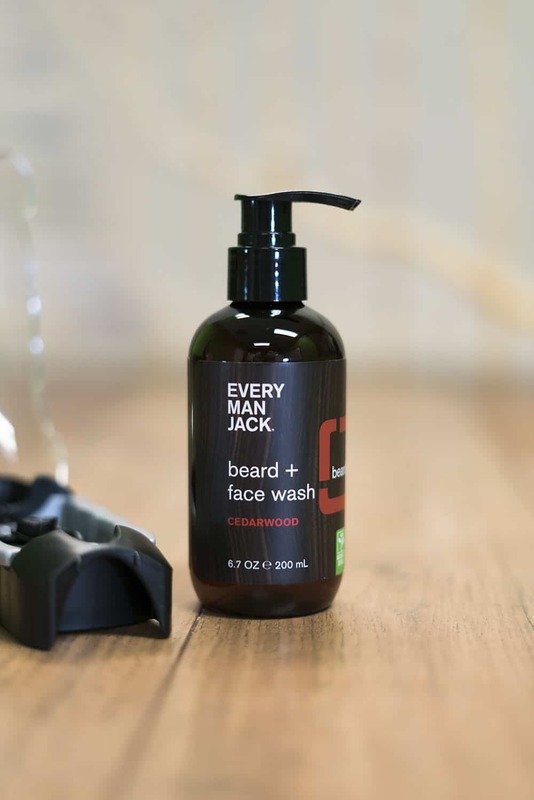 This hydrating wash uses coconut-derived compounds to cleanse his beard as Glycerin and Aloe work to condition and hydrate his skin leaving him cleansed and refreshed. A low-foam formula designed to soothe and heal skin, this shave cream provides dad a comfortable close shave, every time, and won’t leave him dried out or with clogged pores. 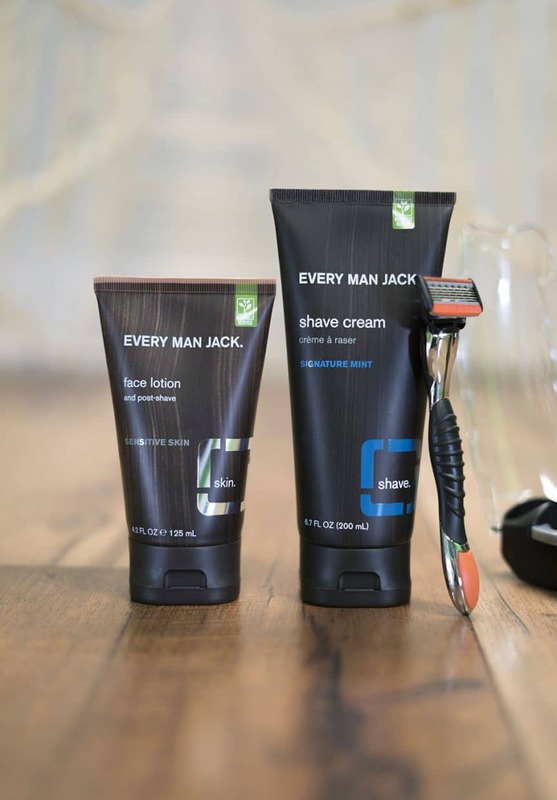 The final step in dad’s morning routine trifecta, Every Man Jack Fragrance Free Face Lotion is made with menthyl and chamomile to soothe, shea butter to hydrate, and Vitamin E to protect. Fragrance Free, dad will be ready for whatever the day throws at him without the worry of strong scents or skin sensitivity. Want to remind dad how important he is each month? 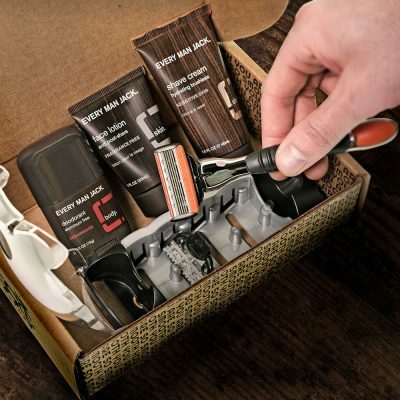 Add a monthly subscription to the Champion Razor. We’ll send him a welcome box and new replacement blades each month. Or, set him up for the year with an extended supply of replacement blades.